← It’s a Done Deal! Today is a weird day – our house is sold and we stayed at a hotel last night because we no longer have a home in Canada. For the first time in a very long time I don’t actually own a home anywhere. I have a rental in Bucerias and a chunk of land near La Cruz that will someday be the place where I will sit on the deck watching the sun set over the ocean. But today I woke up in a hotel because I am sort of homeless. 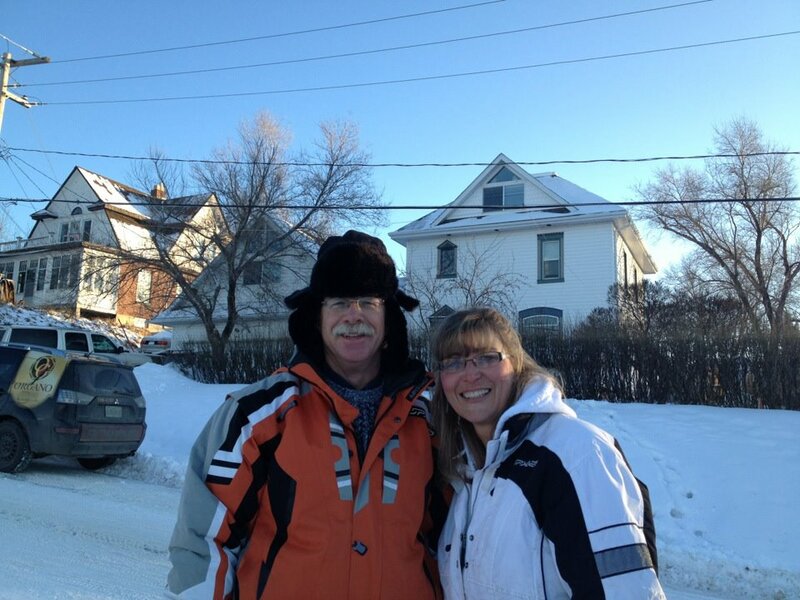 We have been in the Lumsden area since 1995. When I think about it, the whole Swanson home parade in Lumsden has been anything but normal. It has been unusual and creative and severely backbreaking. 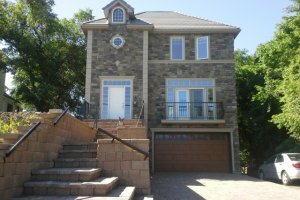 It started in 1994 when we purchased 25 acres overlooking the beautiful Qu’Appelle Valley with a pretty creek running through it. 6 others purchased land there as well and we built a little community together. Of course, we didn’t just build a simple house like everyone else. 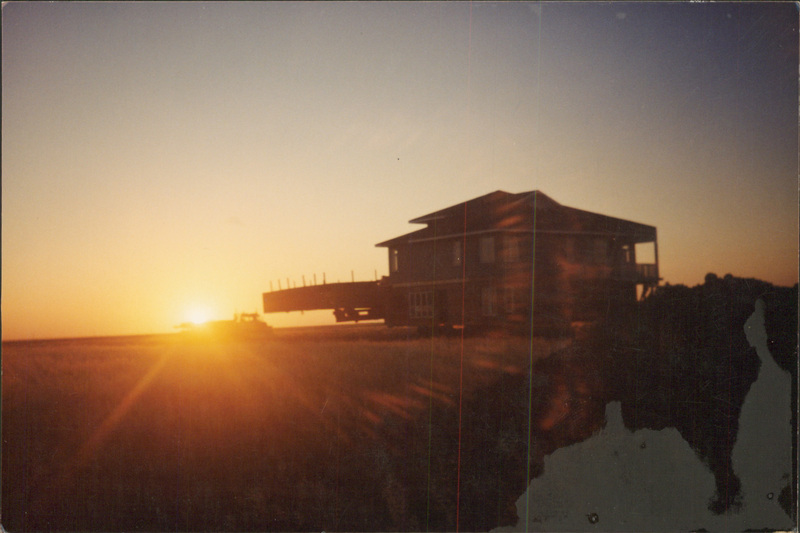 We moved a giant of a house 152 km from a farm in Ogema to Lumsden. It was the wettest summer in history and our house sat stuck in a field for much of the summer – finally arriving the day before school started. It was a ton of work getting it set on the new foundation, building a garage and creating a yard but it was a blast for our daughters to play in the woods in the treehouse Grant built them. We had friends over for bonfires in a clearing and skating on the cr eek. We watched foxes play in the valley and deer wander through. It was a good place for our family. But our purpose had been to flip it to make some money and after 2 or 3 years we sold out. By that time our girls were committed to friends and school in Lumsden and they begged us to stay in the community. 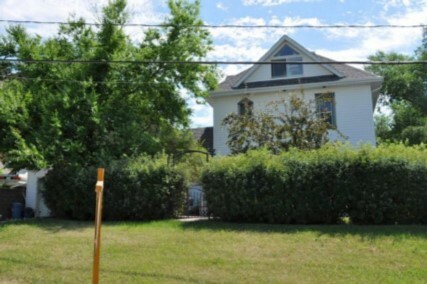 Unfortunately, the possession date for our sale was quick and there were few houses available in Lumsden, so we bought the oldest, ugliest house in town. Ugly. Really ugly. It was 100 years old with lots of character. Unfortunately, most of the character was from the 60s …. Imagine purple shag carpet everywhere. So we set to work stripping a dozen layers of wallpaper, moving walls, building stairways and tearing up floors. We added a garage and a loft. 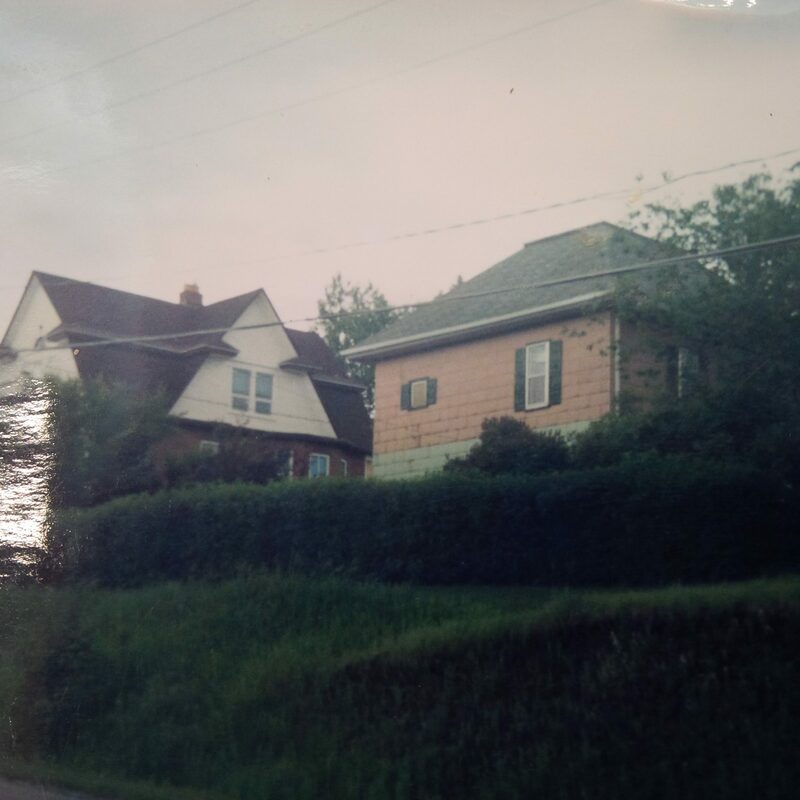 It wasn’t quick and we lived in the middle of the construction for months – but it was to be our family home for the next 14 years. It was a good town to raise a family. Our girls could walk to school and take off on their bikes without concern. 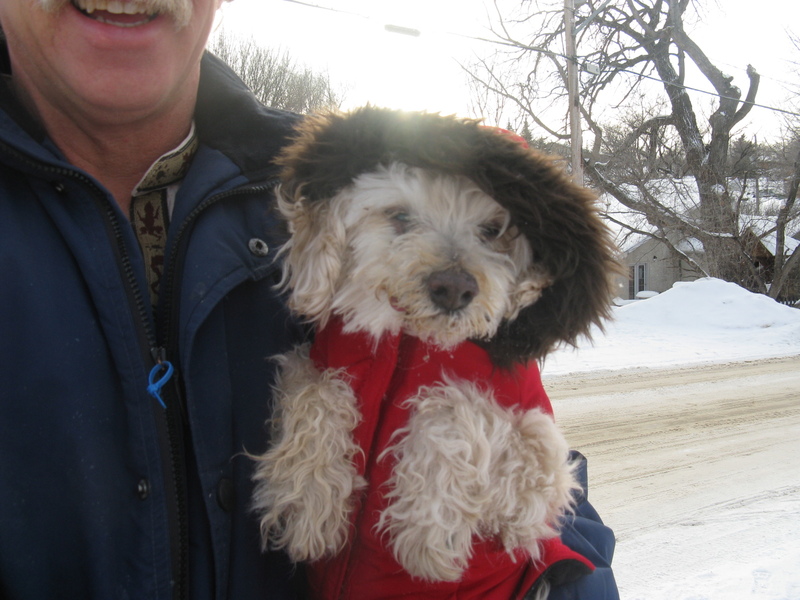 We had friends over to toboggan down the church hill and walked the dogs down by the railroad tracks. After a stroke in 2005, I spent many months sitting beside the river at the railroad trestle – meditating and praying and healing. It was a good place for our family. After High School, both of our daughters went off to University and new careers kept them from returning to Lumsden. Grant and I began to dream of our own future adventure and decided to finance it by diving into one more crazy Lumsden house experience. 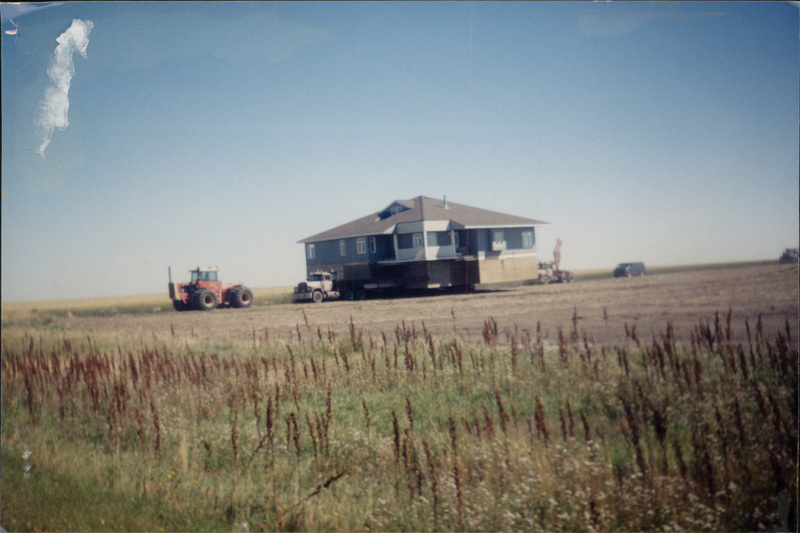 Because our home sat on a double lot, we were able to subdivide our land and make room to build one last Canadian Swanson home. Just as we got started, a real estate building boom hit our province and Grant’s company was swamped with work. Which severely hampered his plan to build our house in his free time. Being as he no longer had free time. Our dream got a bit dusty sitting on the shelf. I am grateful I did not know how long this would take and how hard it would be. I also did not imagine how beautiful this last house would be and how much love and heart Grant would pour into it. We lived in it for a year and loved every moment of it. But yesterday was our very last day in Lumsden. 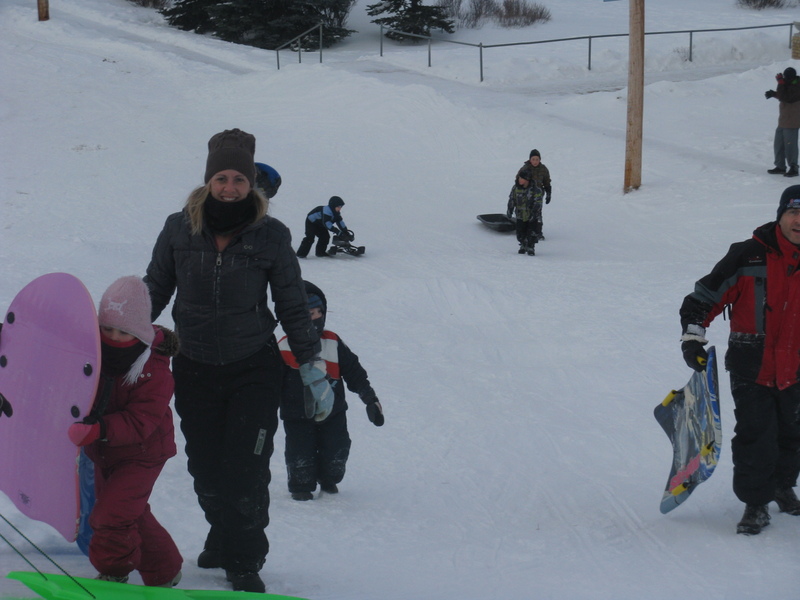 As we cleaned and packed the last boxes, we watched children tobogganing on the hill and remembered the many pots of hot chocolate we had brewed for our girls and their friends over the years. A dog that looked just like Carmel ran up the hill and I remembered the many times she dragged Brett around town on their walks. I thought of the many litters of kittens we raised in a box in our closet and imagine that perhaps that is why Meigan loves her cats so much today. 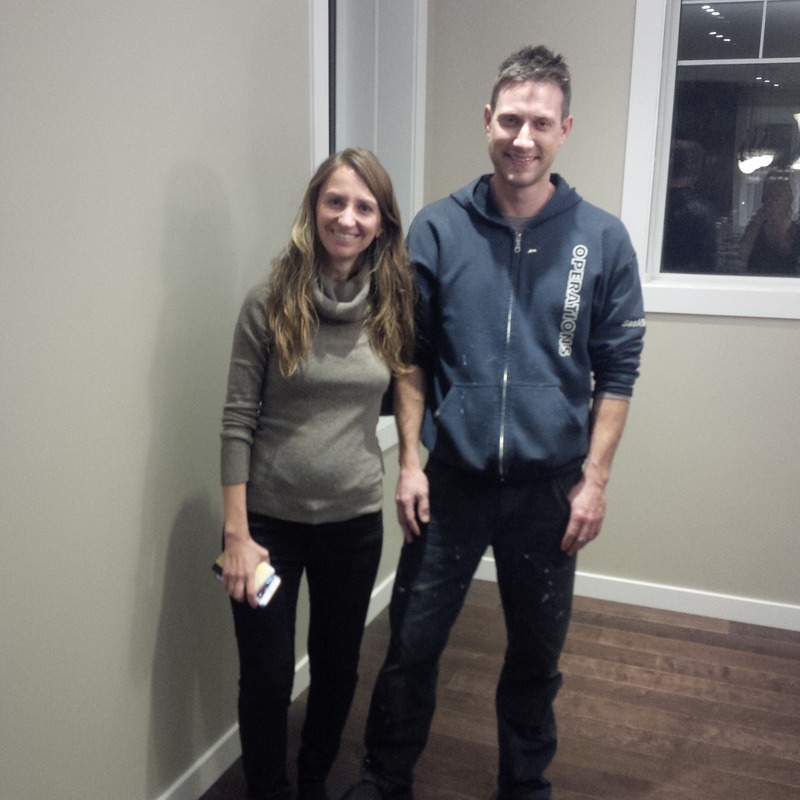 We walked around the now empty house with the new owners and heard their excitement – and trepidation – for this new stage in their lives. I told them that I hoped they would be happy there, that they would love this house and that this would be a good place for their family. 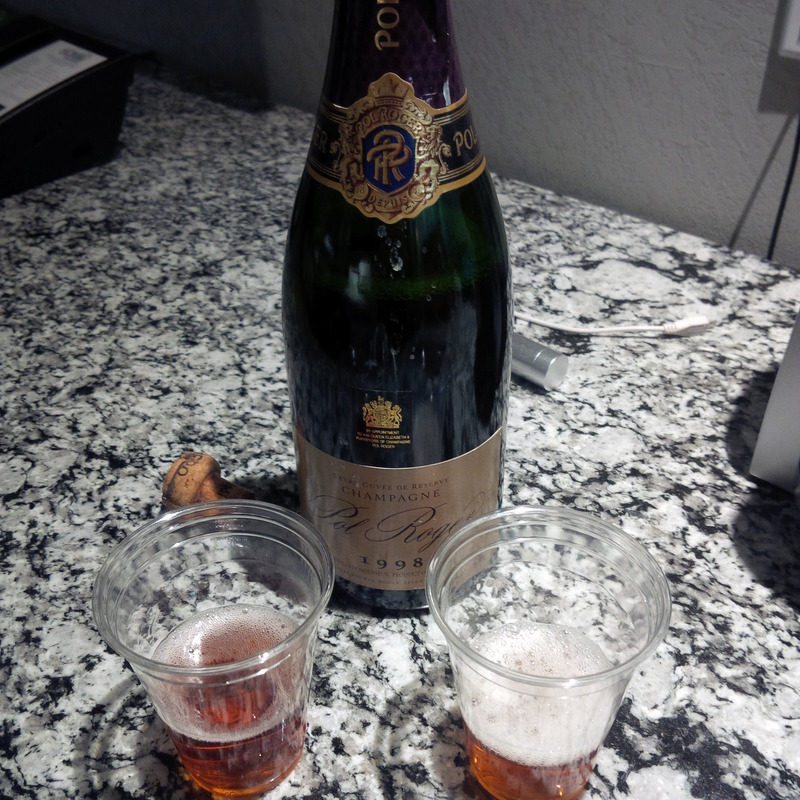 Finally checked into our hotel, exhausted and emotional, we poured ourselves 2 glasses of champagne to toast the very good life we had lived in the little community in the valley and to the hope we had of a very good life by the ocean. And then we got on a plane. It’s time. This entry was posted in Uncategorized and tagged living in mexico, lumsden, Moving to Mexico. Bookmark the permalink. We talked with Jana on Saturday night. If her enthusiasm is any indicator, they are already in love with the house. I’m sure their years there will be as happy as yours have been. This one made me cry! For many reasons, one for your heart and the process of letting go and all the goodbyes! Two for what a blessing your two decades of memories there were and three because you are gone and I am grateful we got to share in a tiny portion of your memories in Lumsden. We will miss you but look forward to hooking up with you in your new home in Mexico. Your writing always inspires me, keep telling your stories my friend! They are rich and full of life and love and heart things! Love you Adios! I love that our Canadian friends already love our Mexican home! That makes it easier to say goodbye – knowing we’re still connected, that you know where we are and that you will be there someday again.